Pages are for organizations, businesses, celebrities, and bands to broadcast information in an official, public manner to people who choose to connect with them. Similar to profiles, Pages can be enhanced with applications that help the entity communicate and engage with their audiences, and capture new audiences virally through friend recommendations, News Feed stories, Facebook events, and beyond. You can create and manage a Facebook Page for your organization from your personal account. Click here to begin. Please note that only the official representative of an organization, business, celebrity, or band is permitted to create a Page. If you are the official representative of an organization, business, celebrity, or band, you can create a Page here to represent your organization on Facebook. Who can create a Page? If you are the official representative of an organization, business, celebrity, or band, you can create a Page here. Only the official representative of an organization, business, celebrity, or band may create a Facebook Page. The Page creator can then add other representatives to help them manage the Page. Each Page admin will be able to update and edit their Pages from their own accounts. In addition, Page names may not solely use the generic term for the category of products or services you offer (e.g. "beer" or "pizza"). Those Page names that merely refer to generic categories (e.g. "Photography" instead of "Joe's Wedding Photography") may have their administrative rights automatically removed. Also note that once a Page has been created, you will not be able to edit the Page name. If you would like to create a Facebook presence for a celebrity or organization and you are not officially authorized to do so, please create a Facebook group instead, as these may be created and maintained by any user. How do I update my audience? As a Page admin, you can update your connections by using the publisher located on your Wall tab at the top of the Page. You will be able to update your status, ask a question, post photos, share a link, or record/upload a Video. These posts will appear in the News Feed, on people's home pages who have already "Liked" your Page as well as your Page's wall for any people who are visiting. Additionally, you're able to send updates, which will appear in the 'other' folder in their messages, to the people who have "Liked" your Page. When viewing your Page manager, click 'Edit Page' under the Page you'd like to use to send an update. Then, select the 'Marketing' tab on the left side of the page, and click 'Send an Update.' These updates can be sent to all people connected to your Page, or targeted to certain types of people connected to your Page. 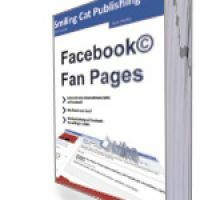 In addition, Pages are managed by admins who have personal Facebook profiles. Pages are not separate Facebook accounts and do not have separate login information from your profile. They are merely different entities on our site, similar to how Groups and Events function. Once you have set up a Page within your profile, you may add other admins to help you manage this Page. People who choose to connect to your Page won't be able to see that you are the Page admin or have any access to your personal account.